Having spent decades building an iconic motorcycle brand that once symbolized youth more than any other, Harley-Davidson has spent the last decade focused on bridging the generation gap between loyal boomer customers and new millennial fans. Speaking at the Association of National Advertisers' Masters of Marketing event in Orlando, Mark-Hans Richer, Harley-Davidson svp, global CMO, made the case that for brand marketers, young people don't own cool, growth or innovation. Old people, he said, are in fact a growth market, and the decision to reach one or the other should not be a zero-sum game. "Growing with youth versus growing with old is a false choice," said Richter. "Products can adjust, logos can change entirely, but meaning can be ageless. Brands can grow in multiple generational directions simultaneously. It can be done. We are doing it." Richter pointed to launching its Number One Skull collection and Dark Custom, a line of customized bikes geared for young adults, as well as partnering with Ultimate Fighting Championship and FX show Sons of Anarchy. Even today, Harley-Davison has made an indelible stamp on pop culture, partnering with Marvel for its Captain America motorcycle and reaching millennials at festivals like South by Southwest, where they can experience Harleys up close. Innovation at Harley-Davison is also integral to attracting youth. 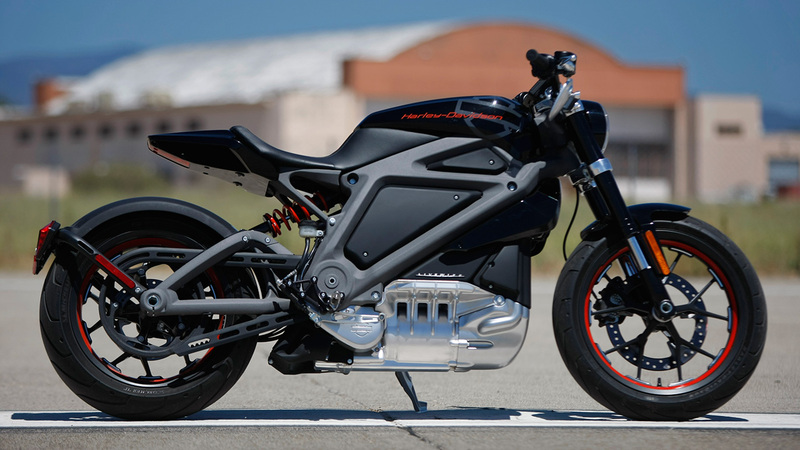 Richer pointed to its Project LiveWire, an electric prototype bike. Meanwhile, Harley's focus on boomers has yet to slow down. Richter cited U.S. census data that this year shows a 50-plus population of 100 million-plus adults and will reach 173 million by 2060. To break the stereotype of who rides Harleys, the motorcycle company in March launched its ambitious "Roll Your Own" campaign, an attempt to give rich generational meaning and authenticity. "Growth prospects are rich, and I fear we are ignoring this," he said. "The saying is 'follow the money'? Well, here's the money, and these people aren't going away as a growth market. "So stay cool, man—or should I say dude, or bro—and stay hip to the trends. Go ahead and grow with both."